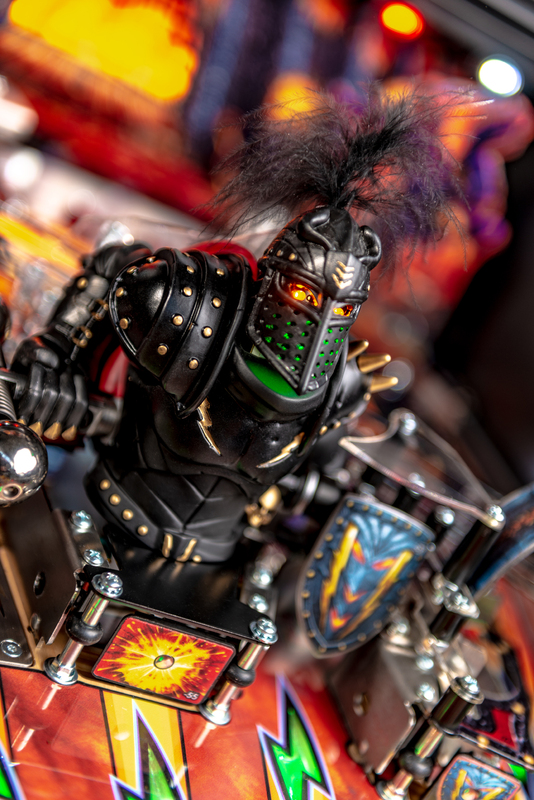 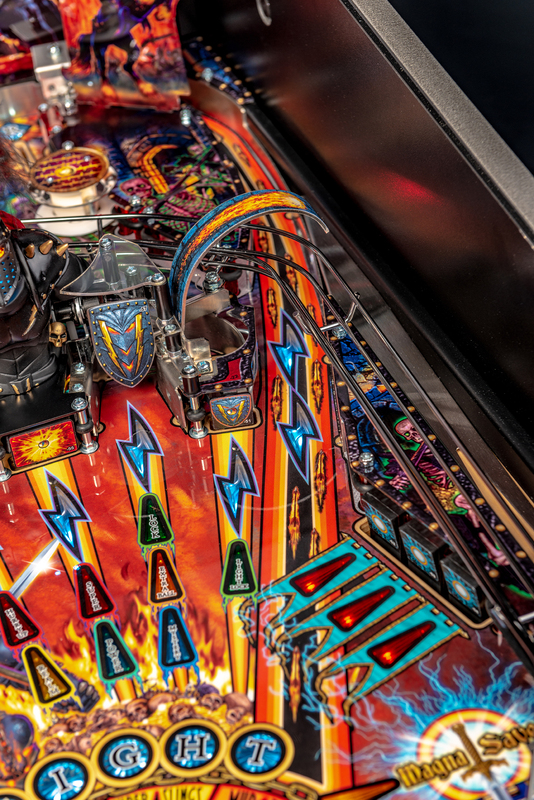 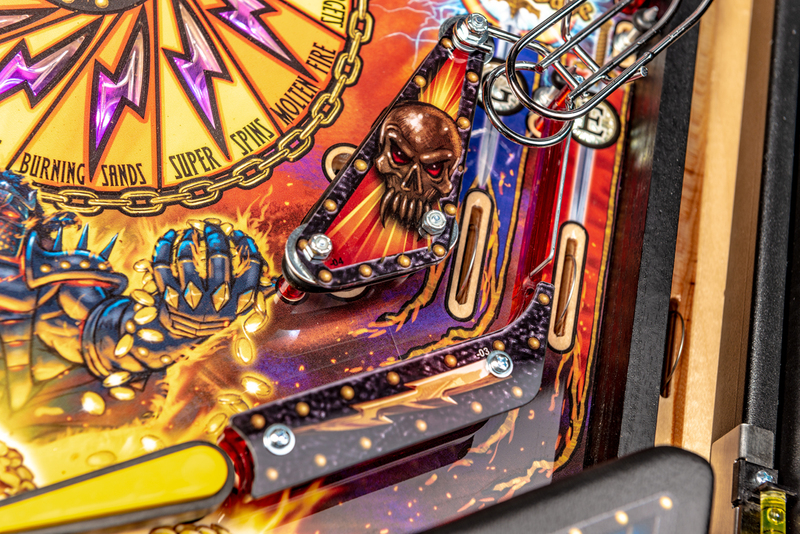 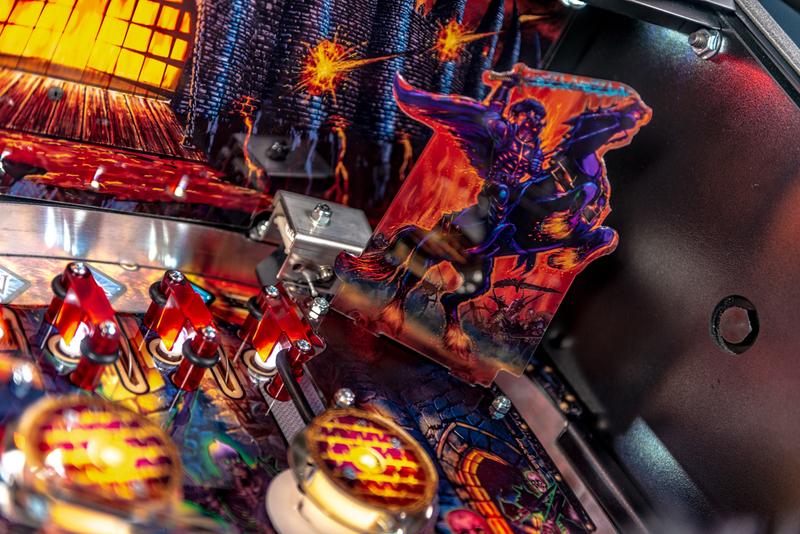 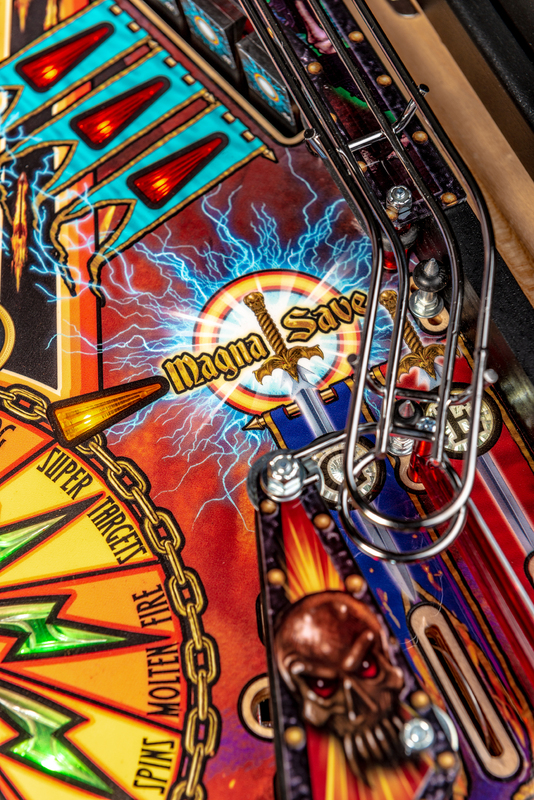 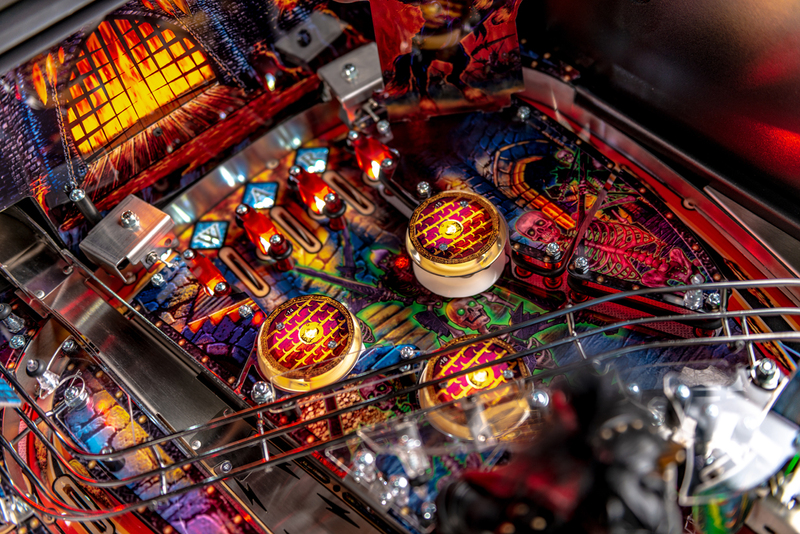 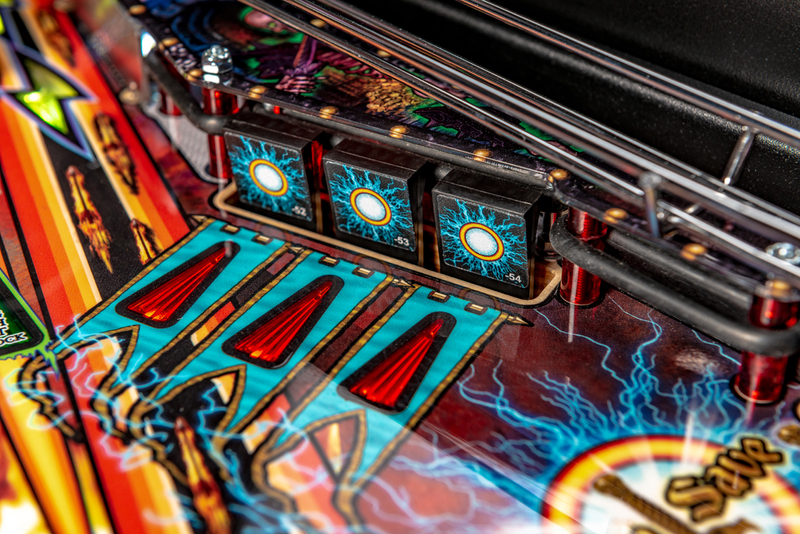 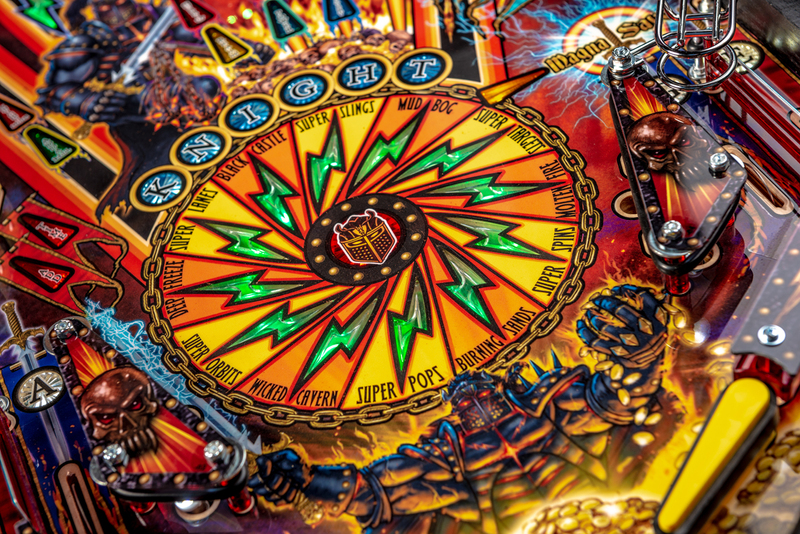 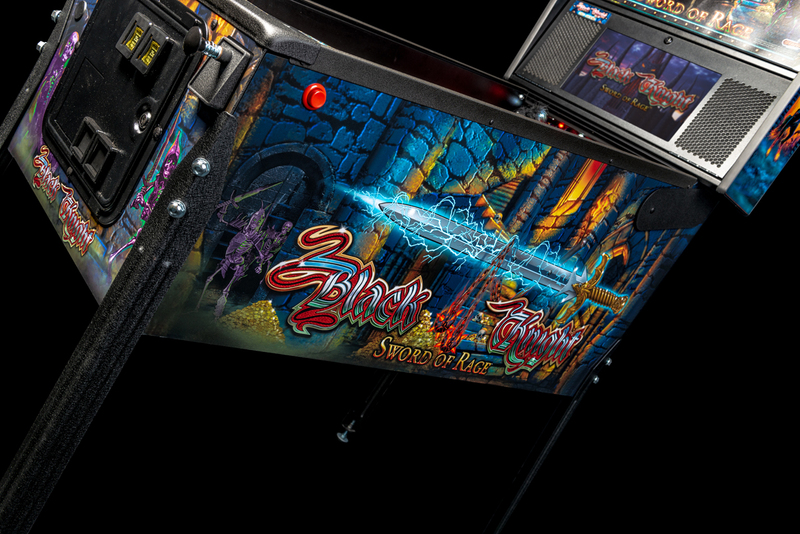 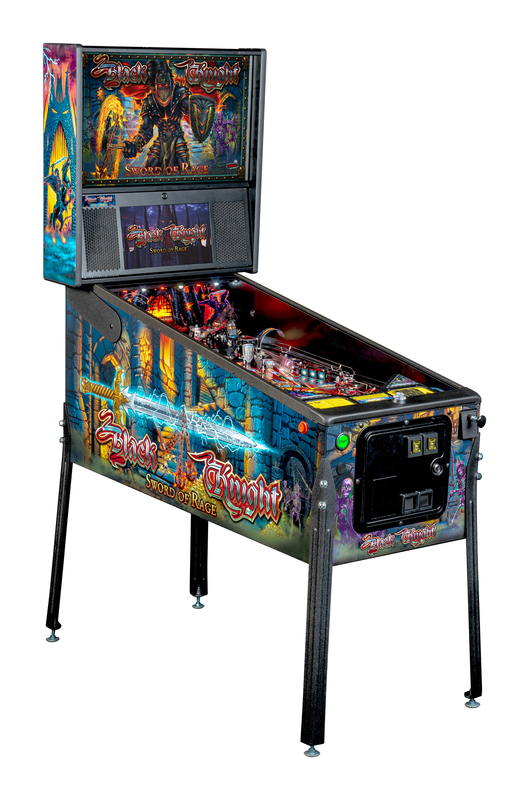 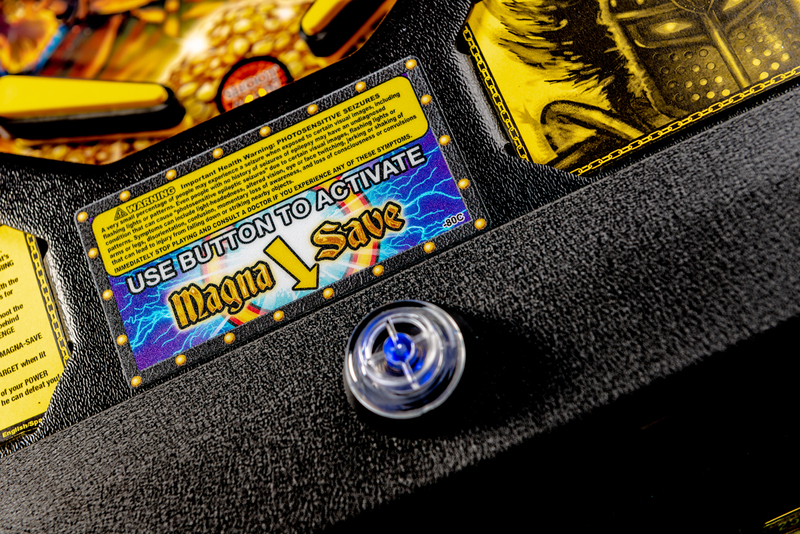 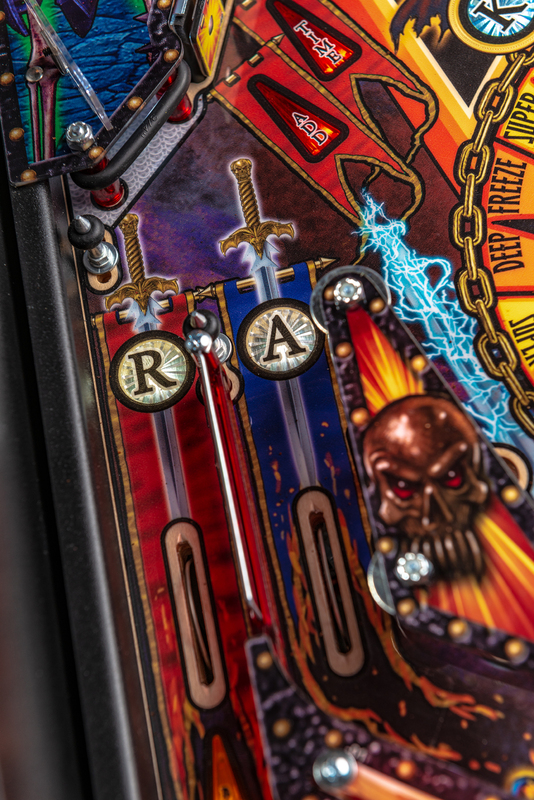 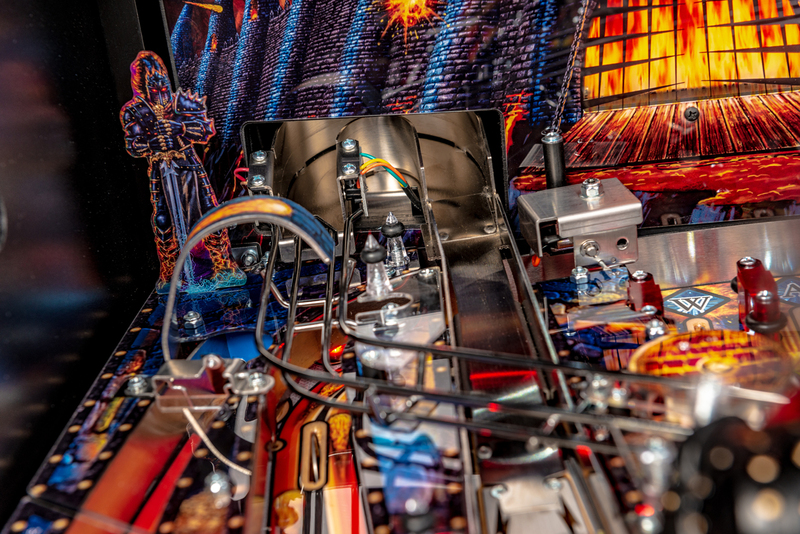 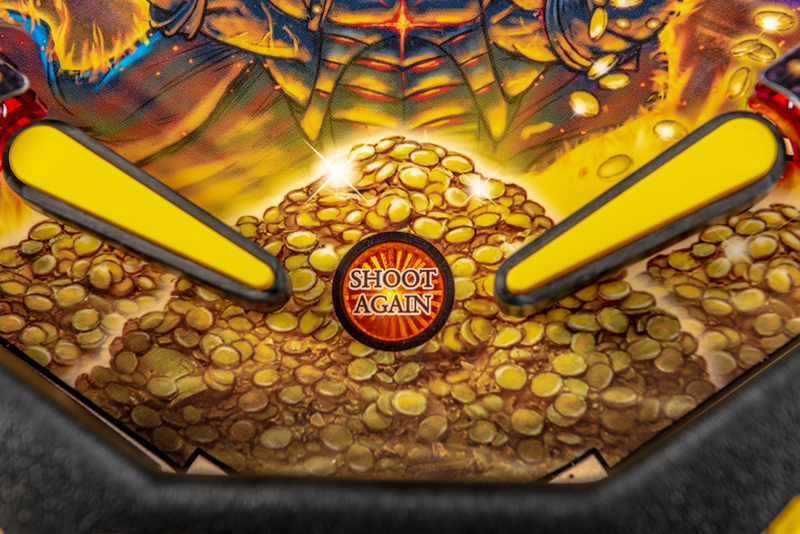 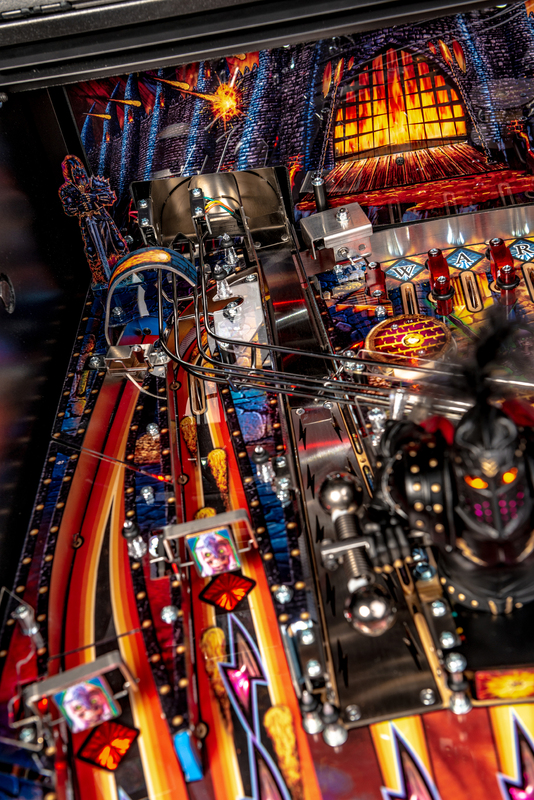 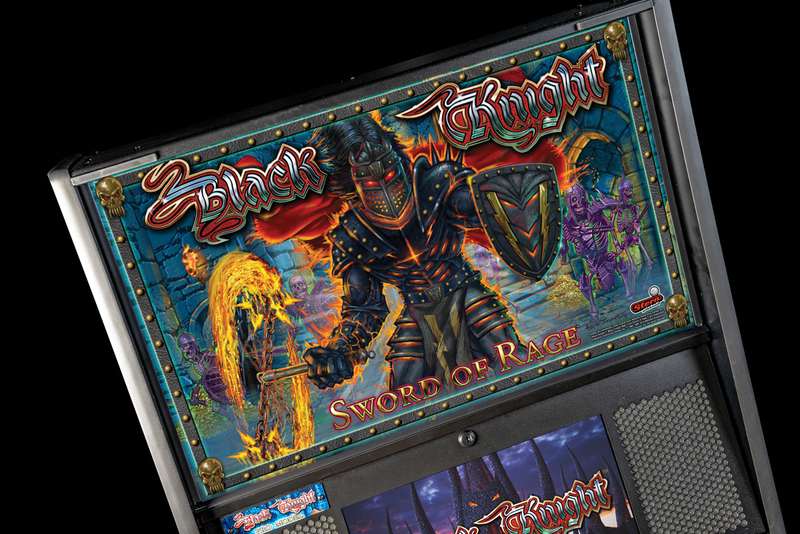 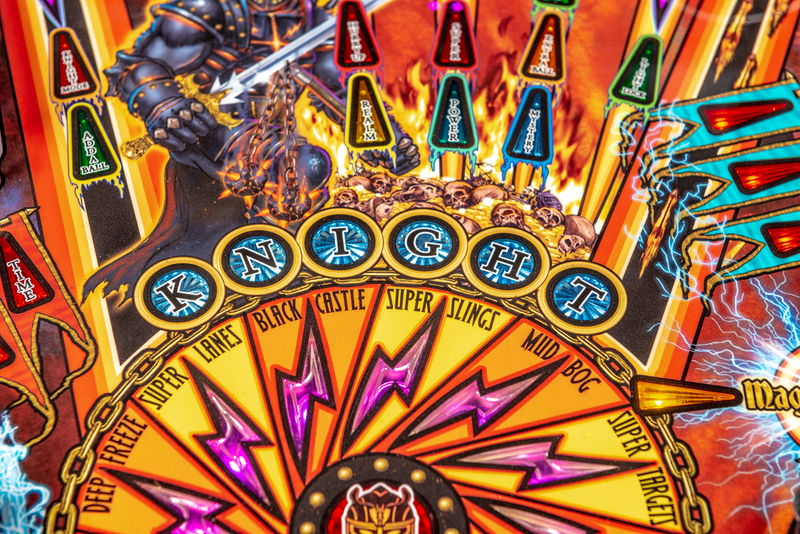 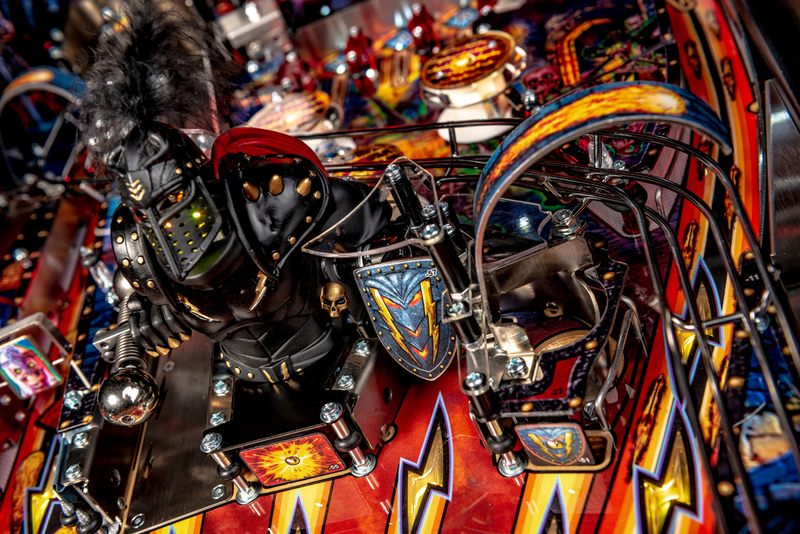 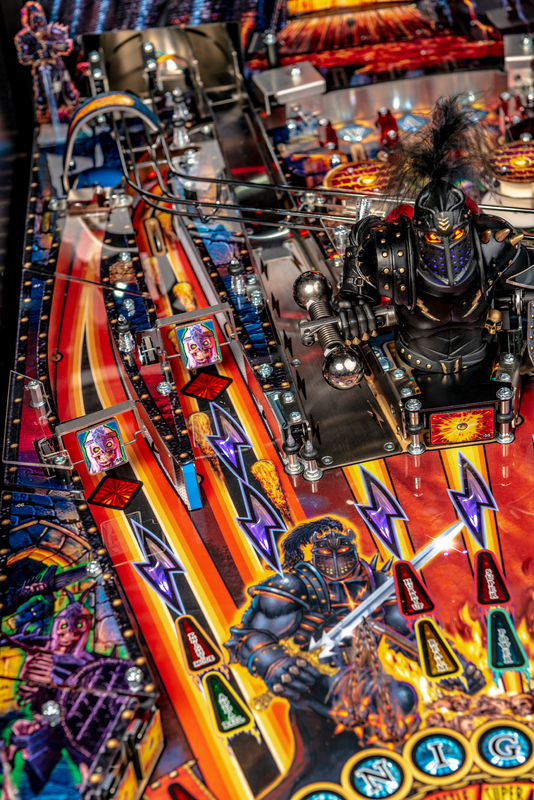 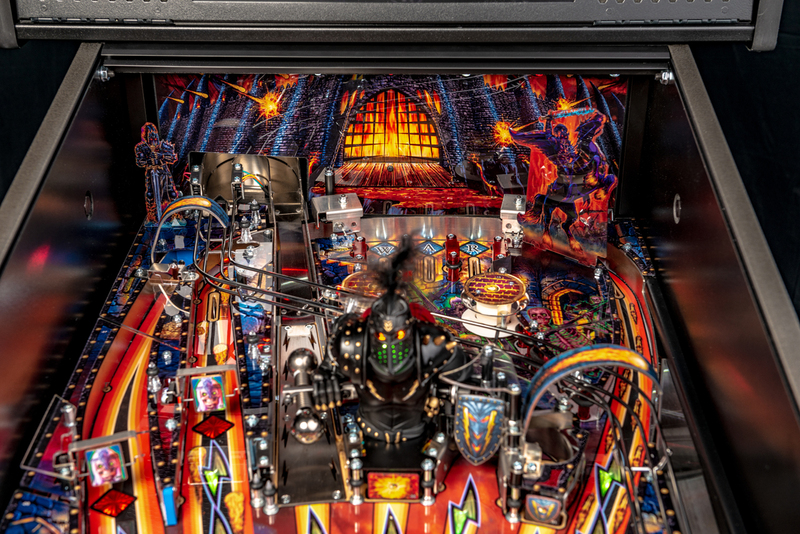 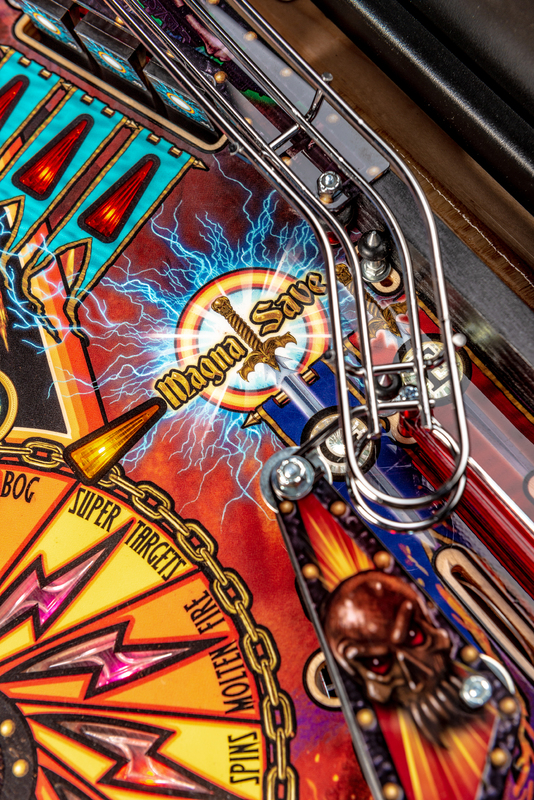 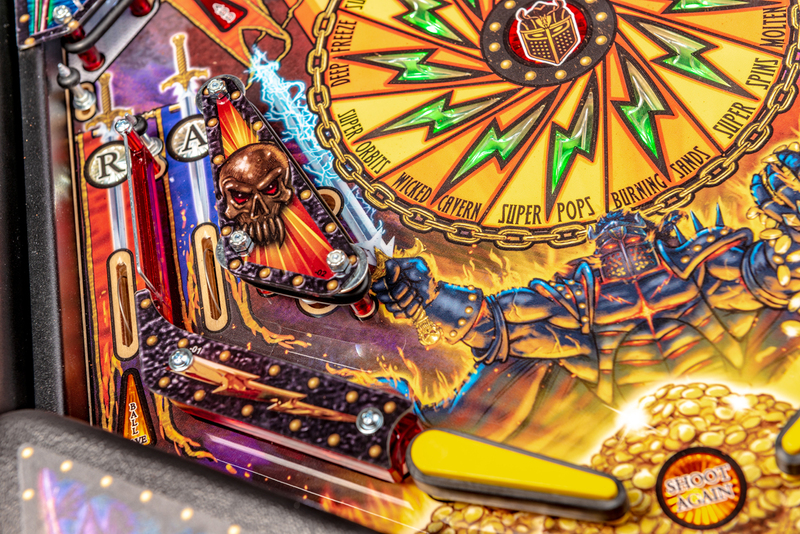 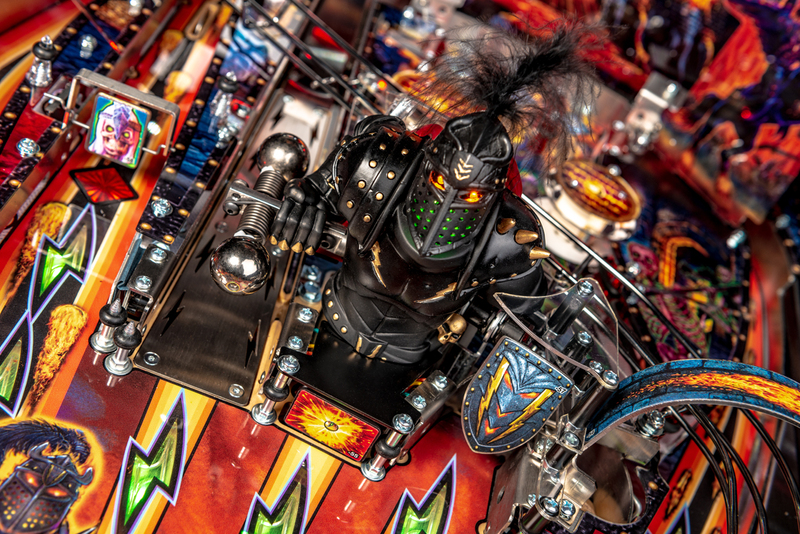 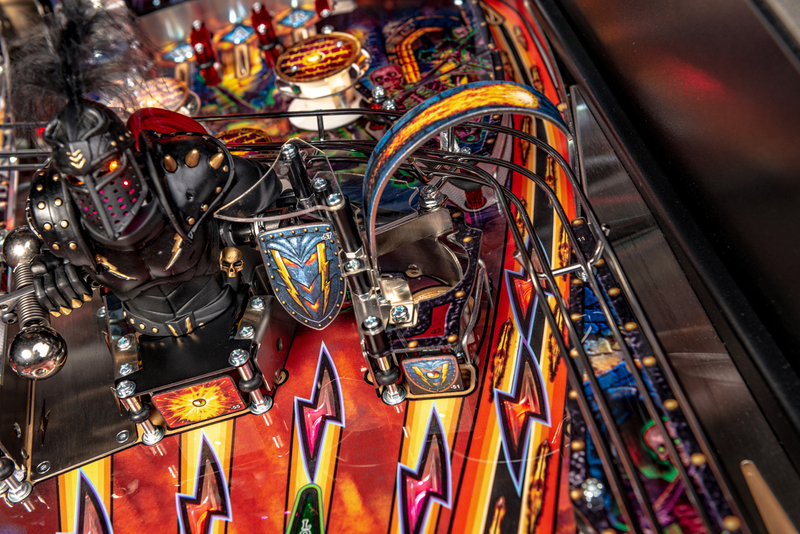 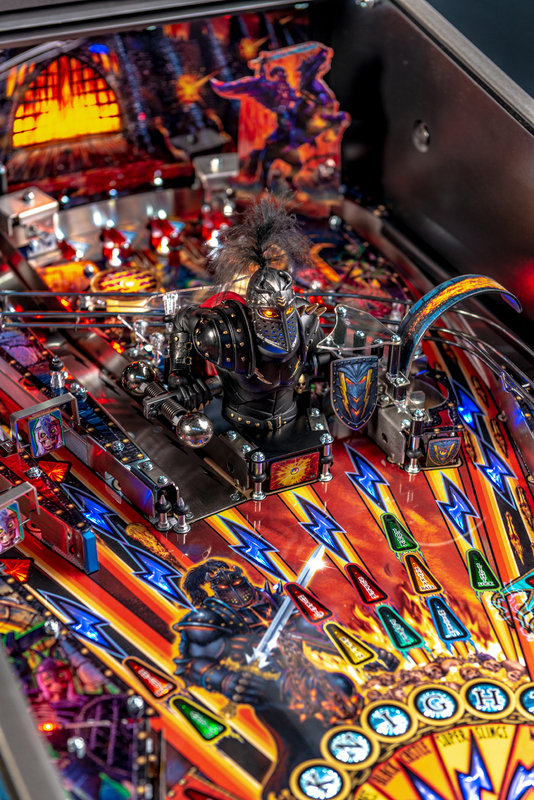 Black Knight: Sword of Rage (Pro) Pinball Machine | Fun! 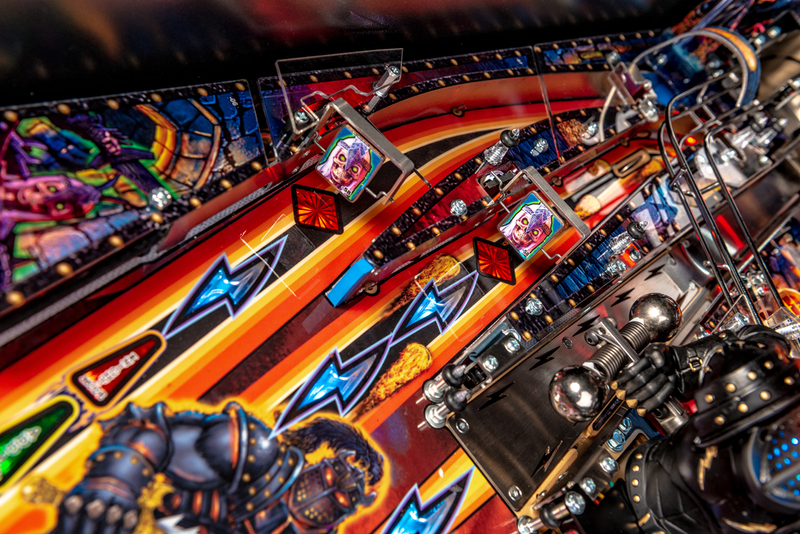 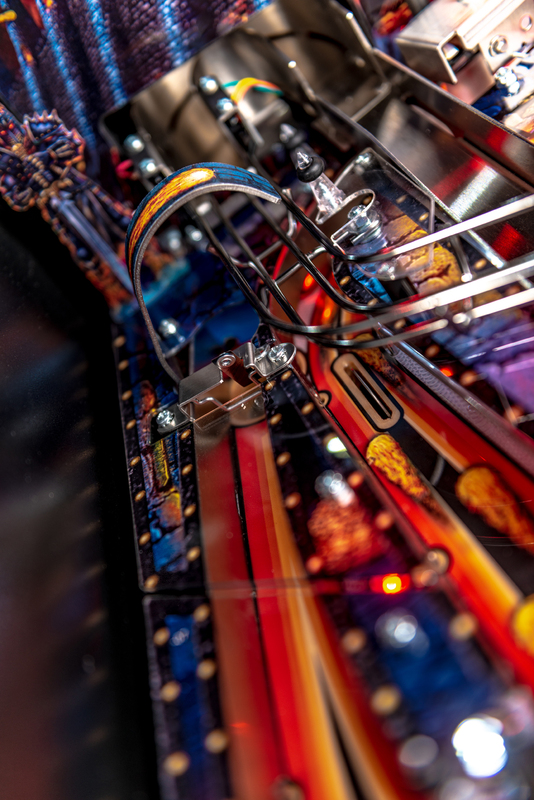 – 24 Brilliant playfield RGB LED’s singal different features on all shots based on color. 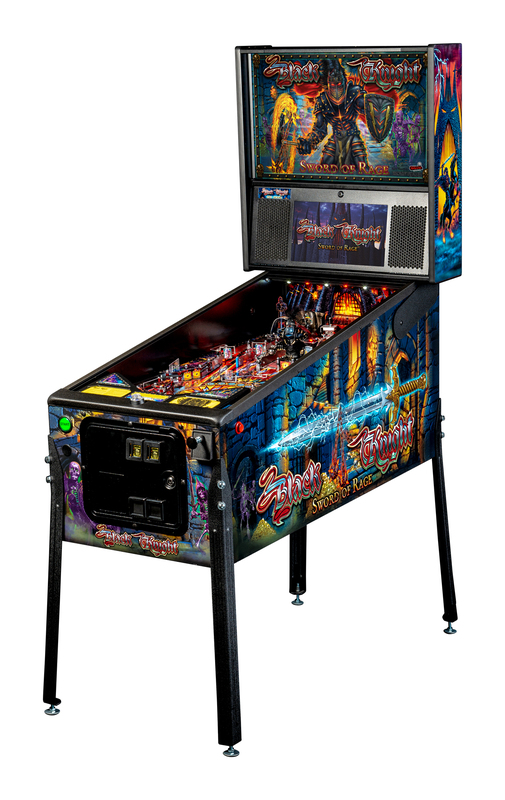 – Exclusive “Castle” full color HD art on translite backglass and decal cabinet art.